There’s no such thing as bad publicity. 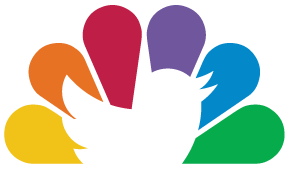 A source tells TechCrunch that mainstream news mentions of the temporary suspension of an NBC Olympics coverage tweeter / hater gave Twitter’s signup rate a boost. The same source revealed that the debacle led to internal communication within Twitter, describing the scandal as having a silver lining: “A good thing”. That Twitter would tattletale on a tweeter and encourage an offended company to file complaint against them has surely shook confidence of its core user base, many of which revel in the service’s free speech. The company has apologized. Right now Twitter needs user growth to power its ad model and lay a nest egg. So its understandable that user growth in any permutation, no matter the cause, is viewed positively. The unfolding Guy Adams drama, from suspension to NBC withdrawing its complaint to reinstatement, piggybacked on the Olympics to become a top world news story. Articles about Twitter dominated the tech blogs, but also garnered tons of coverage from mainstream outlets like the USA Today and Huffington Post as well as sports press like Deadspin. Seems many readers became curious about Twitter and signed up. Without the hubbub they might not have. The infamy could help Twitter build on its 500 million-plus registrations or get people to revisit the 330 million inactive accounts that have been set-up but abandoned over the years. This months new signups could be hard to distinguish from increases sparked by the Olympics themselves. Coverage of the suspension likely combined with the service’s s heavy involvement in the London games to get people saying “alright, I’ll check this Twitter thing out.” Similar spikes are thought to have resulted from mainstream press mentions of Twitter surrounding the 2011 earthquake and tsunami that hit Japan. Twitter’s ad products have shown a lot of promise. Promoted tweets are getting 1-3% click through rates, even higher on mobile, and insiders told Bloomberg it expects to hit $1 billion in revenue by 2014. That may depend on the Twitter taking flight with average joes — the kind this month’s “negative press” may have brought in. We’ve also heard rumors that Twitter may be trying to drum up hype before announcing plans to IPO or raise a massive funding round. The $1 billion revenue projection and sources telling the New York Times that Apple was interested in buying a stake in Twitter both could have been purposeful leaks to this end. The debacle that ensued from booting Guy Adams surely wasn’t manufactured. But what better way to convince the world of Twitter’s importance than one person’s removal making headlines around the globe?